Attach to a Hobbit character. Limit 1 per character. 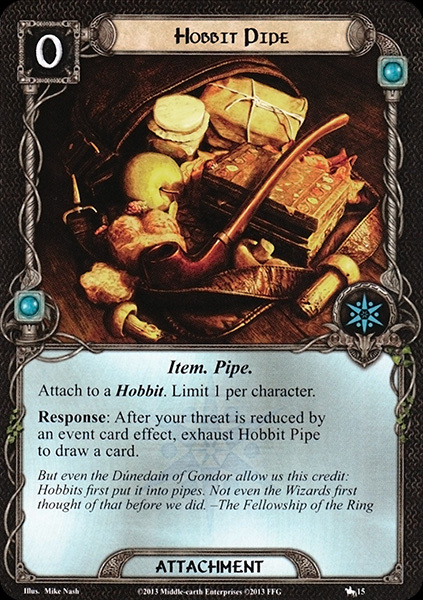 Response: After your threat is reduced by an event card effect, exhaust Hobbit Pipe to draw a card.